We want a vibrant downtown, rich with activities and amenities, but vibrant neighbourhoods must also be livable. The goal is to strike a balance. Residents expect and even welcome a certain amount of noise and activity downtown. Do we have the right balance? Let me know what you think. The Downtown Restaurant Association brings restaurants together to make downtown entertainment safe and enjoyable for everyone. You’re invited to a public meeting May 1 at City Hall to learn how the city and its various community partners and agencies are working together to ensure that summer bar and event season in the downtown is enjoyable for visitors and residents alike. In the past year, I’ve received calls from downtown residents concerned about noise, fights, vandalism, littering, public drunkenness and other behaviour from patrons visiting our bars, restaurants and events in the downtown throughout the year. 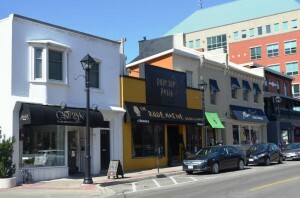 In response, I formed a Downtown Hospitality Working Group to join together to tackle these issues, with membership from police, by-law enforcement, Alcohol and Gaming Commission of Ontario (AGCO), planning staff, and condo, business and restaurant associations. We meet regularly throughout the year to plan for bar and event season, and share ideas for improvements. At the public meeting you’ll hear what each organization is doing and how you can get involved to share ideas or report concerns. The meeting will be webcast, and the powerpoint and handouts will also be available online. Meantime, if you have concerns about noise outside of an establishment (including house parties) contact John Prins, bylaw officer for Ward 2 at 905-971-1886. For noise related to outdoor patios, contact John Hesch of the AGCO at 416-326-5460. To report a crime in progress, call 911. What do you think? Is there too much noise and related behaviour downtown, or is that the tradeoff of having a vibrant downtown? Let me know your thoughts by leaving a comment below or email me at meedwardm@burlington.ca. My Take: We want a vibrant downtown, rich with activities and amenities, but vibrant neighbourhoods must also be livable. The goal is to strike a balance. Residents expect and even welcome a certain amount of noise and activity downtown, but we want to work together to reduce unruly, destructive and potentially dangerous behaviour. Marianne, does a vibrant downtown mean drunk, disorderly people urinating on lawns and causing damage to private property? Does it mean that residents living in close proximity to the restaurants and bars have to be awakened at 2AM? Perhaps the bars should close at 1AM instead of 2 AM, this would eliminate an extra 60 minutes of drinking and could result in less issues. A vibrant downtown to me encompasses people being able to go for a walk along the water, have a nice meal, attend at movie or go to the art centre or performing art centre. Also included would be stores to shop in, etc. Why does it always seem that the bar scene, and festivals seem to be considered essential to a vibrant downtown?